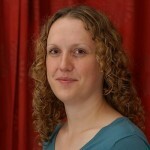 Lorna is an experienced PHP consultant, developer, author and trainer based in Leeds, in the UK. She has spent many years building and architecting web applications, and now works on a wide range of projects helping to improve code, processes, and the teams around them. Her specialities are rather varied: APIs, databases of all kinds, PHP tools, and sharing the best practices of her craft with others. When she's not consulting, Lorna can be found presenting at conferences, leading the joind.in open source project, working with various user groups, or writing for a variety of outlets including .net magazine and her own blog lornajane.net.